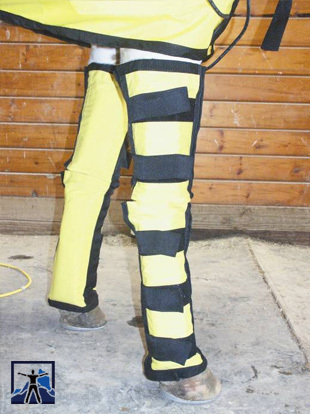 The Thermotex™ Therapeutic Therapeutic Extended Leggings offer 4 pads of infrared heat a pair. This leg application of deep heat infrared therapy is intended to provide aid in the relief of stress and connective tissue pain in and around the leg. 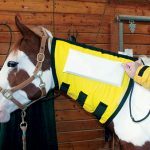 These Infrared Therapy System Leggings are a hinged, well-designed infrared heating appliance that can be used on either the forelimbs or hind limbs. 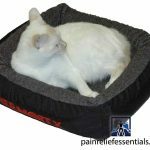 Each legging contains 4 heating pads encased in durable nylon. 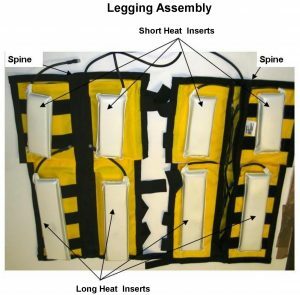 Each Leggings unit is supplied in pairs so that either front or hind limbs can be treated simultaneously. Most commonly used for pain relief as well as sore muscles and joints, the Thermotex Therapeutic Extended Leggings have fantastic benefits. Anatomically, the areas of the knee and hock and distally down the limb are composed of tendons and ligaments with very little muscle tissue present. 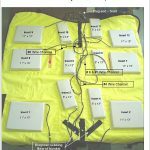 Infrared heat therapy to these areas will allow more tendon and ligament extensibility and benefit all the joints in the area. The joints will be relieved of stiffness and enjoy a greater range of motion after the treatment. The Thermotex Therapeutic Therapeutic Extended Leggings will remove lactic acid build up in your horse’s muscles, help to remove soreness from injuries, help reduce inflammation, and the infrared therapy will even help remove joint inflammation caused by arthritis. How Does the Infrared Heat Therapeutic Leggings Work? By using the Thermotex leggings prior to exercising or an event,the animals tendons and ligaments within the limb are more extensible which allows a greater range of motion. 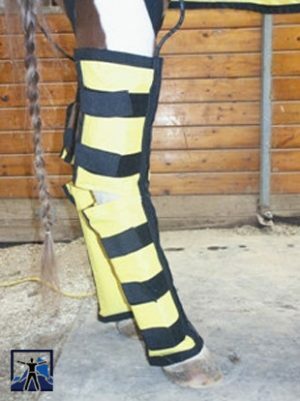 Due to the unique technology employed by the Thermotex Therapeutic Extended Leggings, overheating of the tissues in the legs will not occur. When you are warming the legs before an event, a short duration of treatment is indicated but when therapy is initiated as a treatment for a clinical condition, long treatment times are very beneficial. Note that if a clinical problem exists, you should procure an accurate diagnosis before beginning treatment. For example, an acute swollen flexor tendon is an example that requires immediate diagnosis. If the injury has happened within only a few hours then infrared therapy is not recommended. Sorry, the Thermotex Therapeutic Extended leggings pair is not eligible for discount coupons. Plug in the Thermotex Infrared Therapy System leggings appliance to pre-warm for a few minutes. 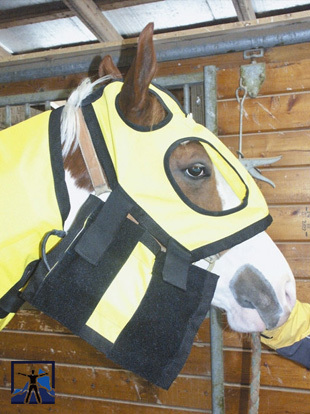 Restrain the horse so that neither its mouth or its feet will come in contact with any of the electrical cords. We recommend using cross-ties. 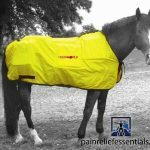 Make sure that the legs are completely free of liniments, sweats, poultice, or dirt and debris. 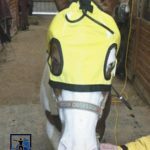 Properly place the legging appliance on the leg and secure with Velcro straps, making sure the heating pads run parallel to the tendons. 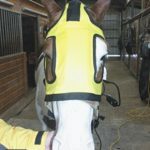 Plug in the legging appliance again and leave on the low setting until the horse becomes acquainted with the therapy. Turn the switch to the high setting for the initial few minutes of infrared therapy. After approximately 10-15 minutes, turn the setting back to low for the duration of the treatment. When the treatment is concluded, the inside of the leggings should be wiped down with a mild disinfectant, dried completely, and stored in a clean place. A rigorous massage to the tendons and the ligaments after the therapy is ideal.